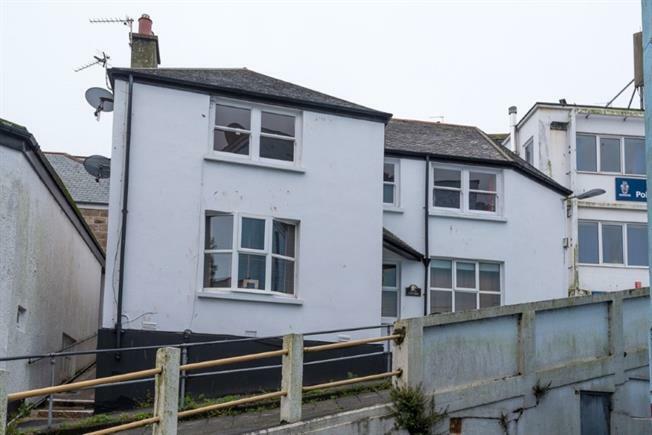 2 Bedroom Upper Floor Flat For Sale in St. Ives for Asking Price £220,000. The property offers well presented accommodation that comprises in brief of - entrance hallway, two bedrooms, lounge/diner with stairs up to the kitchen and bathroom. Sash window to the front, fitted carpet. Two sash windows to the front, wooden flooring, gas fire , partly vaulted ceiling, storage cupboard. Fitted with a free standing roll top bath with ball and claw feet, mixer tap with shower attachment, low level WC, pedestal hand basin, vinyl flooring, fan heater and frosted window to the side.